Enjoy Sacred chanting rooted in Soul from Global Goddess Johanna Beekman while our very own Mary Bruce masterfully guides you through a dynamic flow. Once the body is warmed up we will lay you down for Lullaby Yoga. 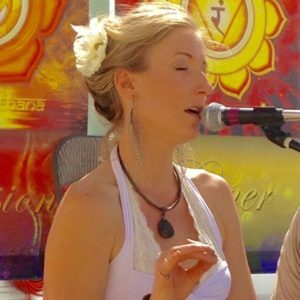 Johanna’s gorgeous vocals and dreamy soundscapes are the perfect compliment to Mary’s expert touch during supported Restorative postures allowing the body to deeply relax and rebalance. This is the ultimate way to cool down from the late summer heat and luxuriate in divine self care. ​To reserve your space contact Moksha Yoga.